Most people go to Egypt to check off the big sights and attractions – the sphynx, the Pyramids of Giza, and perhaps take a felucca ride down the Nile. 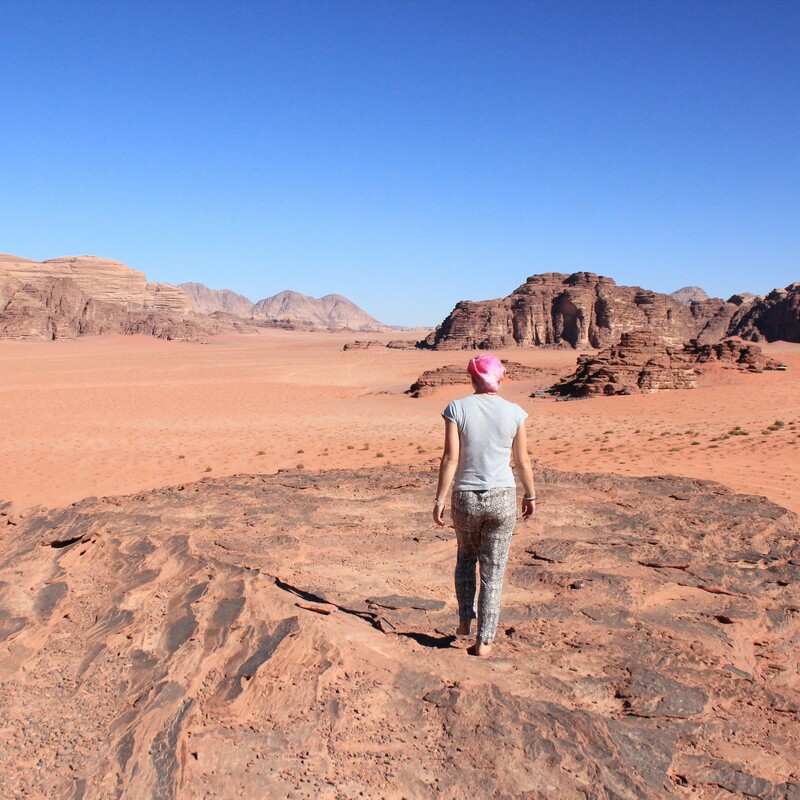 These are all incredible things to see and do, but there so many other hidden jewels in Egypt that tourists miss. The temples in Abydos are one of these sites; in particular, the Temple of Seti I. Aside from being touted as one of the best preserved religious sites in the world, there are fascinating stories behind the area, and the pharaoh himself. Seti I was a lesser-known pharaoh during Egypt’s New Period, which ran from 1550 – 712 BC. Seti I is less famous than other ancient Egyptian royalty because his son, Ramesses II, is considered one of the greatest pharaohs of ancient Egypt. Ramesses II has overshadowed his father significantly, largely due to his military successes. However, Seti I was an important pharaoh in his own right. A previous pharaoh, called Akhenaten, completely reformed religion in Egypt, creating the first monotheistic religion and building an entire city dedicated to the new “true god” of Aten. Seti I was one of the subsequent pharaohs to help re-establish the strength of Egyptian society after the chaos and social disorder that followed this shift. Seti I built temples in Abydos, honouring a variety of the old gods, such as Osiris, Horus, Isis, and Amun-Ra. Image by Vladimir Melnik via Shutterstock. What is the significance of the temple at Abydos? 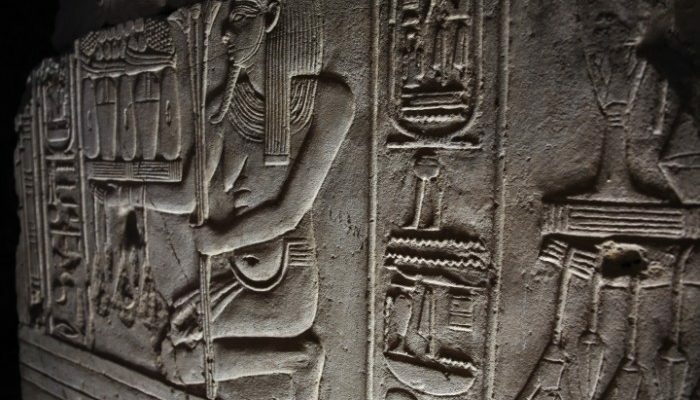 Seti I’s temple at Abydos is a culturally significant site for a number of reasons. Firstly, because Abydos itself is also a noteworthy area, as it’s believed that Osiris (the Lord of the Underworld and Judge of the Dead) is buried here – and The Temple of Seti I is one of the many tributes to him. The temple was also very important to Seti I’s family claim to the throne. Seti I’s father was the first in their lineage to ascend the throne, and one of the best ways for a royal family to establish legitimacy was to build temples, which showed respect to traditional customs and religion. What are the features of the temple? The temple is made of limestone and deviates from a traditional rectangular shape – this L-shaped temple has seven large doorways that are dedicated to six of the most esteemed gods and Seti I. There are two open-air courtyards, which were built by Seti I‘s son, Ramesses II. There are many reliefs that showcase both pharaohs making offerings to gods, or worshipping Osiris. 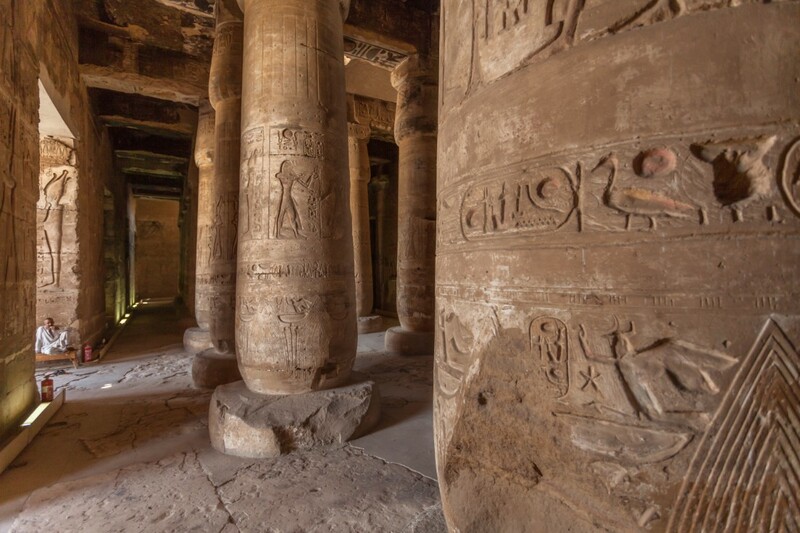 There are also two large rooms, known as hypostyle halls, which means that the roofs are supported by rows of pillars. The reliefs in the halls were not completed in Seti I’s lifetime, but depict Seti I and Ramesses II with various gods and goddesses. Directly off the halls, you’ll find sanctuaries that show different aspects of Osiris’ life, including his wife Iris and the conception of their son, Horus. Finally, there’s the Gallery of the Kings, where you can view statues of Seti I, Ramesses II and other pharaohs that reigned before them. Getting to Abydos can be a bit tricky, as it’s a 3-hour drive north of Luxor, so we recommend you join us on our Limited Edition Pyramids, Mummies and Pharaohs trip. That means you’ll spend less time figuring out logistics and more time exploring these awe-inspiring sites. Plus, you’ll have the expertise of a local guide, so you and the other history buffs can truly appreciate everything this amazing place has to offer. Hero image by Cortyn via Shutterstock.